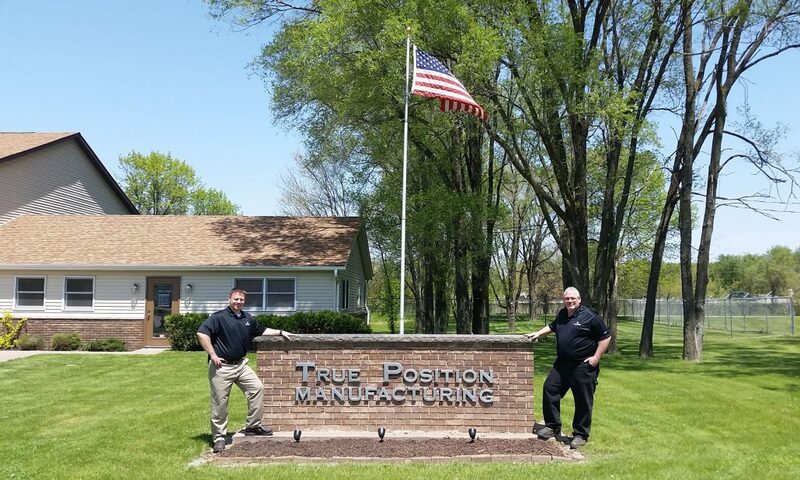 April 28, 2016 – True Position Manufacturing Inc., a lean, veteran-owned metal manufacturing and fabrication company, is the newest manufacturer to join the Quad Cities small business community. To celebrate its grand opening, the company will host a ribbon cutting ceremony at its facility on Friday, May 6, from 11:30 a.m. to 12:00 p.m. Community members and business leaders are invited to attend. True Position Manufacturing is a Lean Six Sigma manufacturer and fabricator that provides value-added metal products, services and solutions with superior quality, flawless delivery and competitive prices. The company is a Service-Disabled Veteran-Owned Small Business (SDVOSB) that serves Iowa and Illinois. It is also an approved government vendor and approved set-aside vendor. True Position Manufacturing offers a wide range of capabilities from CNC machining and lathe work to sawing and light-duty welding. The company has expertise in the carbon steel, stainless steel, tube and aluminum industries. True Position Manufacturing is a member of the Quad Cities Chamber of Commerce and is an active affiliate of the Quad Cities Manufacturing Innovation Hub. True Position Manufacturing’s management team has more than 30 years of lean manufacturing experience. True Position Manufacturing is located at 17190 214th St. in Davenport, Iowa. Download a PDF of the release.